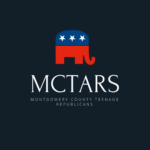 On Tuesday June 27th and Wednesday June 28th, MCTARS is hosting a Student Training Day followed by a Trip to Capitol Hill co-hosted with the MCGOP. Email us with any questions at trips@mctars.com. Registration is being done online, click here to access that and for more information. See you there!